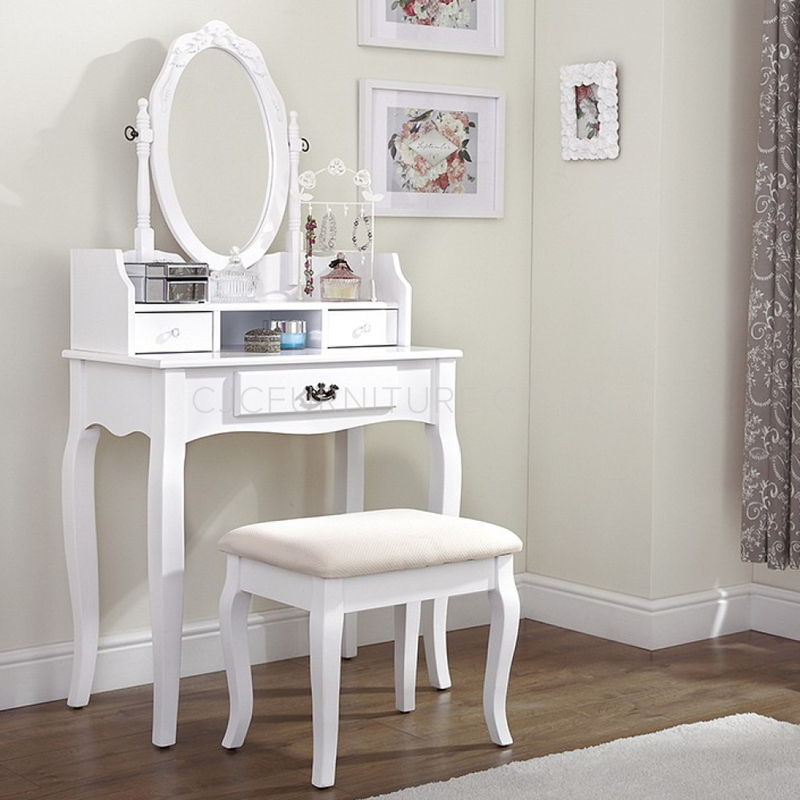 The Lumberton antique style dressing table features a large drawer and two smaller drawers in the recessed, raised section. Incorporates an adjustable oval mirror and a matching stool with a cream fabric covered padded seat. With an antiqued handle on the main drawer and crystal effect handles on the two small drawers. Wooden drawer runners. Constructed from Solid Pine and MDF in a painted finish. Available in white, black, grey, silver, blue and pink.